Few days separate us from the boutique showcase for the real estate and property development sectors, Gulf Property Show. Taking place from April 25 to April 27, Gulf Property show will be held at Bahrain Exhibition Center. The show will gather all leading and prestigious real estate companies and renowned real estate figures who will come from all over the world to attend this distinguished event. Aiming to highlight the present and future real estate developments in the Kingdom of Bahrain, Gulf Property Show is considered the perfect opportunity to market Bahrain’s growing real estate market. For all of those interested in real estate and especially in Bahrain, Gulf Property Show is one real estate exhibition you should never miss. Here we give you a list of 10 key real estate projects to be showcased at the show. 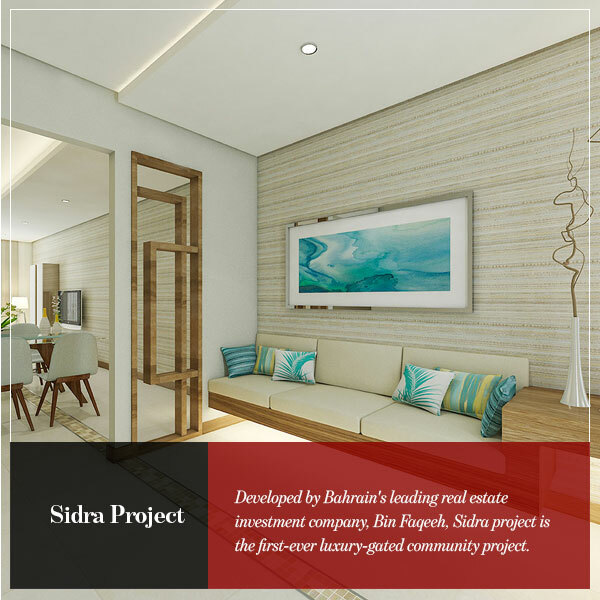 Developed by Bahrain’s leading real estate investment company, Bin Faqeeh, Sidra project is the first-ever luxury-gated community project. Comprised of over 400 villas, the villas are characterised by unique designs and various sizes that fit all families. The villas provide two, three, four and five bedrooms, which makes the projects all more appealing for big families. 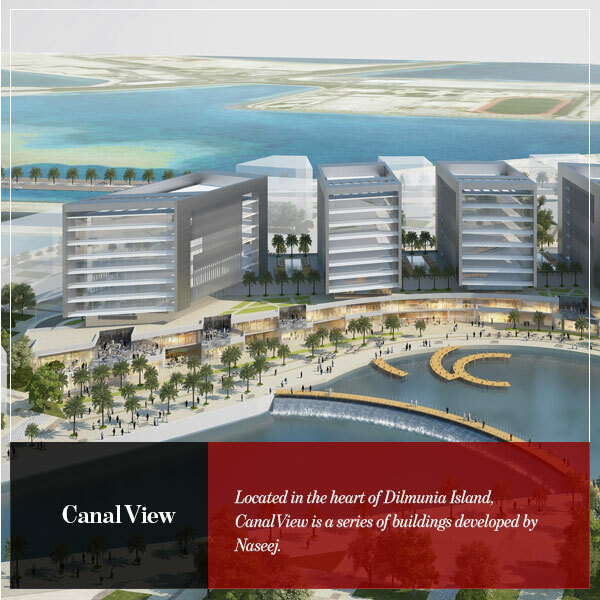 Located in the heart of Dilmunia Island, CanalView is a series of buildings developed by Naseej. Sprawling over an area of 13,000 square meters, the project is built on a podium which will feature a wide array of retail, international restaurants and cafes. Offering one-of-a-kind views of the canal, waterfalls and footbridges, CanalView apartments feature private access to rooftop gardens, swimming pools and gym. 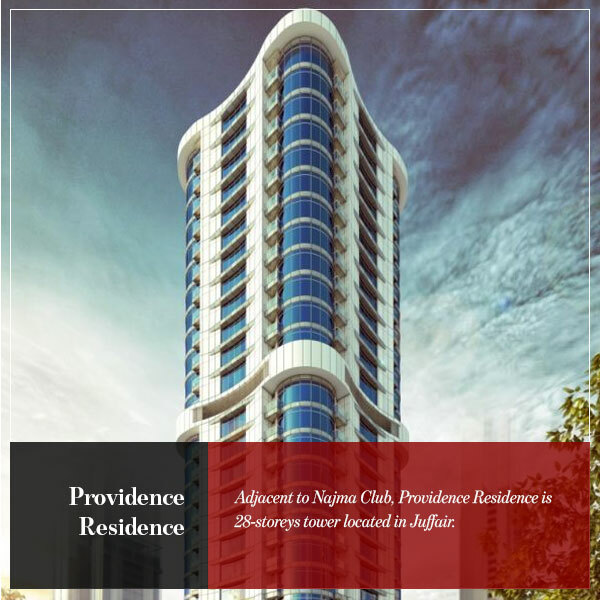 Adjacent to Najma Club, Providence Residence is 28-storeys tower located in Juffair. Boasting modern living, the project comprises of one, two and three bedroom apartments that are fully equipped with the necessary facilities and amenities that supports the modern living. The project is scheduled for completion by the end of 2017. 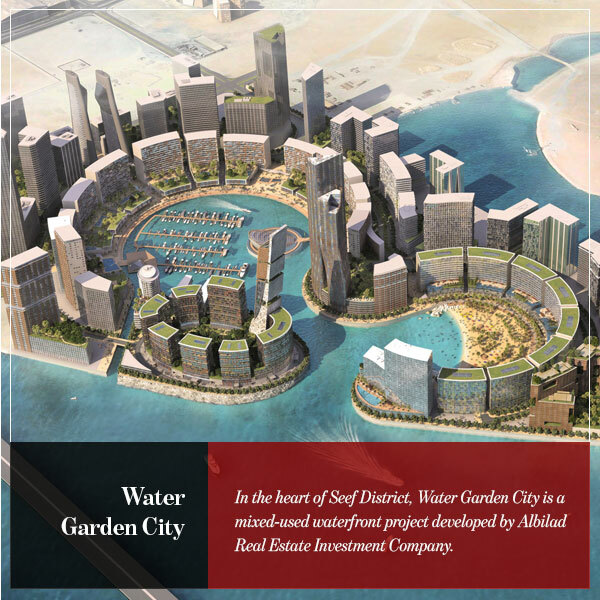 In the heart of Seef District, Water Garden City is a mixed-used waterfront project developed by Albilad Real Estate Investment Company. With two main water bodies integrated within the project, marina and beach, water Garden City will offer a variety of fun water engaging activities to all its residents. The project offers a great environment for residents and visitors to live, work and have fun amidst one of the safest and entertaining environments in the Kingdom. 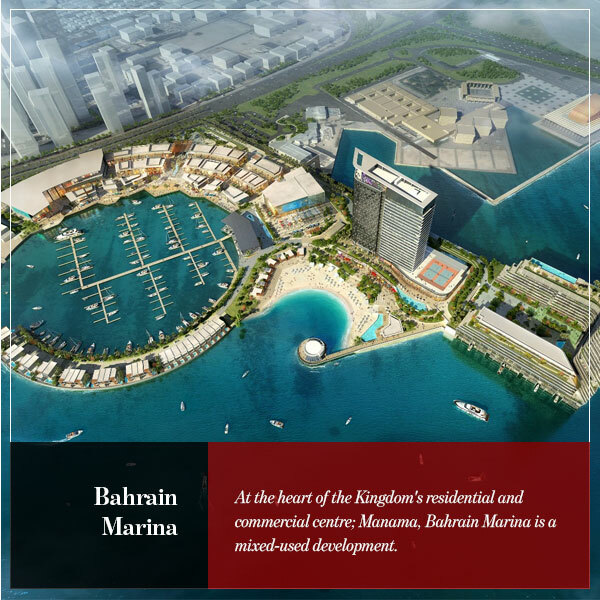 At the heart of the Kingdom’s residential and commercial centre; Manama, Bahrain Marina is a mixed-used development. The project will feature a five-star hotel, serviced apartments, and waterfront villas. That’s not all as the project will also include a fully integrated family entertainment centre, yacht club and waterfront fine dining venues. Located in Juffair, Fontana Infinity offers mesmerising views of Bahrain’s cornice. 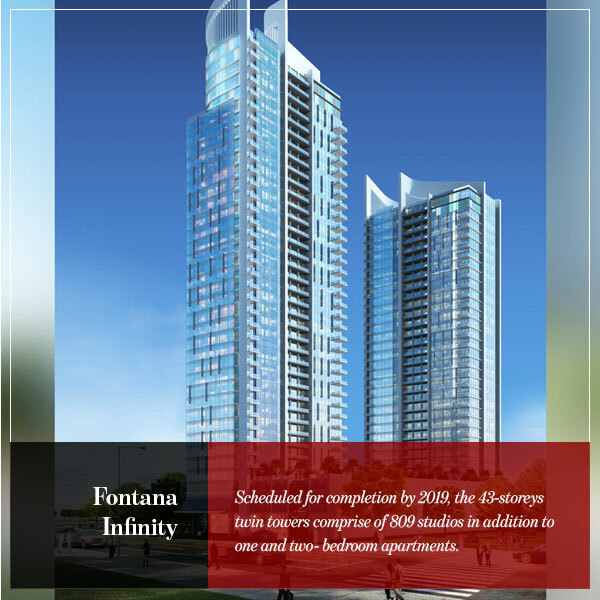 Scheduled for completion by 2019, the 43-storeys twin towers comprise of 809 studios in addition to one and two- bedroom apartments. The development offers a wide array of facilities that promote luxury living such as rainforest jogging track, floating restaurant, movie theatre and much more. 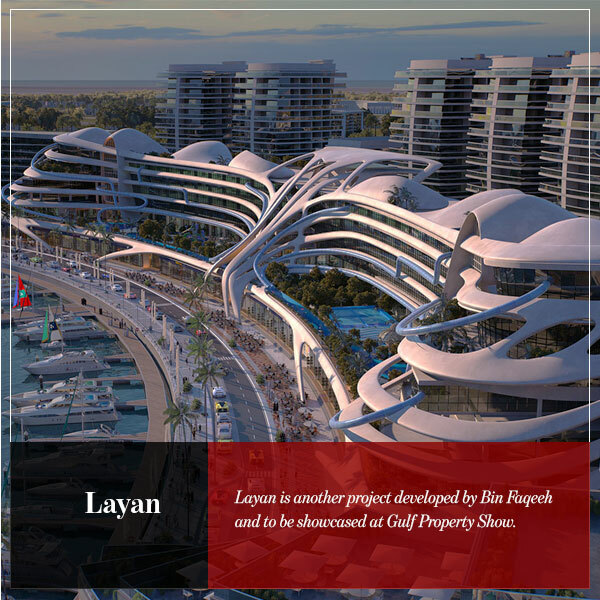 Layan is another project developed by Bin Faqeeh and to be showcased at Gulf Property Show. Located at Durrat Marina, Layan is one development that truly redefines luxurious living. Offering a wide variety of residential options such as studios, apartments, duplexes, apartments and penthouses, Layan is the first residential waterpark to be ever developed around the world. 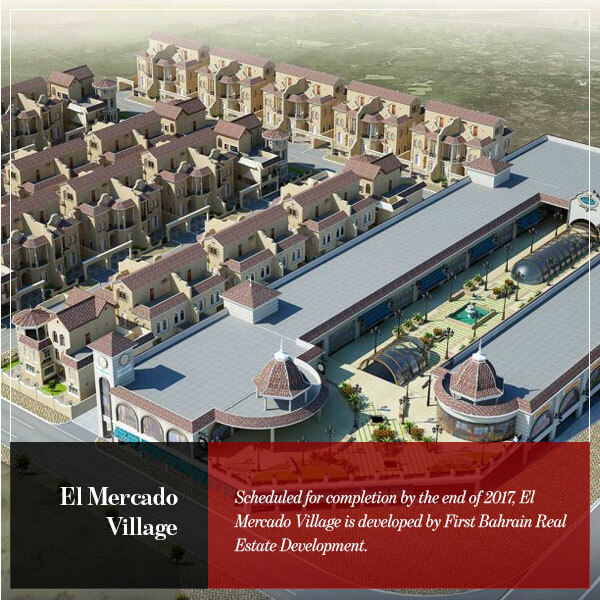 Scheduled for completion by the end of 2017, El Mercado Village is developed by First Bahrain Real Estate Development. Extending over an area of 150,000 square meters, the project consists of eight deluxe stand-alone villas and 34 semi-detached houses. The project is located north of the Sheikh Isa Bin Salman Highway near the Saudi causeway. 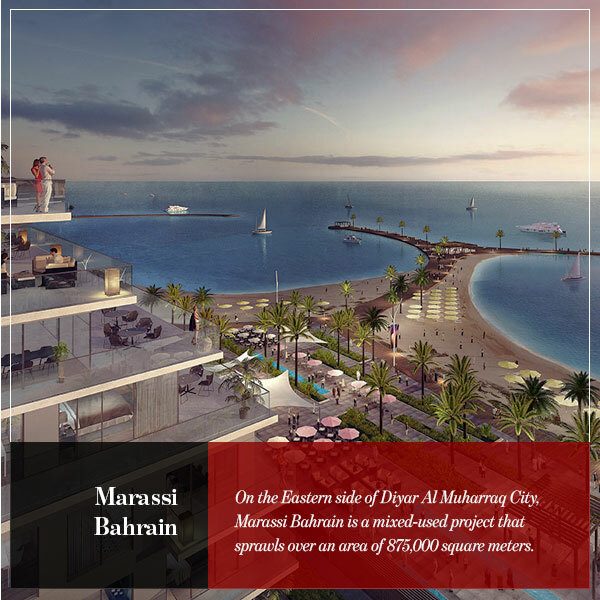 On the Eastern side of Diyar Al Muharraq City, Marassi Bahrain community is a mixed-used project that sprawls over an area of 875,000 square meters. Marassi Bahrain developments include several projects integrated within such as Marassi Residences, Marassi shores and Marassi Galleria. It is worth mentioning that the project is a joint venture between Eagle Hills and Diyar Al Muharraq. The project comprises of luxury apartments and penthouses as well as upscale hotels, shopping centres mosque and 3-kilometre beaches. 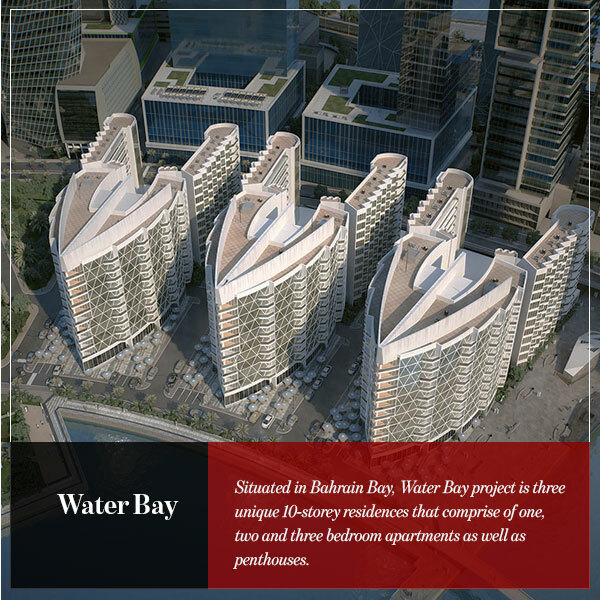 Situated in Bahrain Bay, Water Bay project is three unique 10-storey residences that comprise of one, two and three bedroom apartments as well as penthouses. Water Bay is developed to match the elegance and luxury offered by hotels. The first of the three residences is scheduled for completion during 2017. Water Bay residents are offered the opportunity to choose to ride a water taxi to get them to Avenues Mall or indulge in a fine dining experience at the wide variety of restaurants found.